- Weight: 7 lbs. / 3 kg. 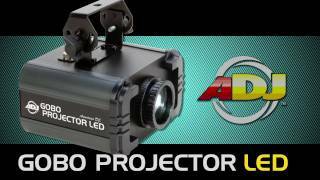 Considering purchasing the American DJ Gobo Projector LED 10W? Have questions? Ask people who've recently bought one. 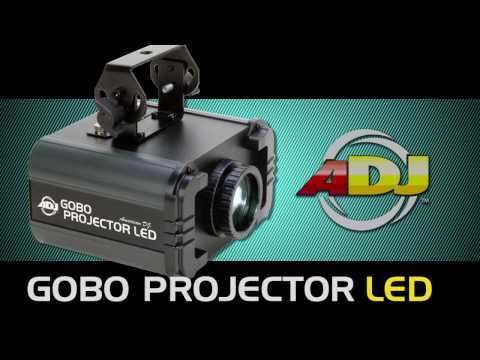 Do you own the American DJ Gobo Projector LED 10W? Why not write a review based on your experience with it. Impressed by the light these throw out. Tried making a homemade gobo and it works, to a degree, but my printer ink was metled after about an hour of constant run. Got custom gobos done and they're brilliant. Well worth the money. The only feature requests I'd make would be the addition of an on off switch on the back and the facility to zoom the projected image. Seen a video for American DJ Gobo Projector LED 10W online or have you own video? Check out American DJ Gobo Projector LED 10W on DJkit.com!